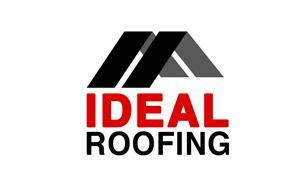 Ideal Roofing - Fascia/Soffits/Guttering, Roofer based in Hemel Hempstead, Hertfordshire. We are a roofing company with over 20 years experience. We offer a friendly and honest service, which in the roofing trade is rare! One of our specialist areas are EPDM flat roofs which last 30 years plus, in fact they have been using this system in the USA since the 60's. This is a far superior method than old fashioned felt. A specialist area job we do is the replacement of conservatory roofs. This involves taking out the glass (or polycarbonate), strengthening the rafters, insulating the roof and fitting lightweight tiles. The ceiling will be boarded and plastered, or clad with maintenance free UPVC. Please ring for a no obligation quote or just advice. We undertake replacement UPVC fascia boards, guttering, roof repair and replacement too. Just about every job needed on your roof has been successfully completed by our careful workforce. We are now fitting hardwood decking, please see our gallery. For a free, no obligation quotation or advice, give us a call on 07864 894856. Throughout the Southeast of England.